Configuring Settings on every device is really a lengthy and tiresome process. Thankfully ‘Sync’ feature in Windows comes as a savior. Sync Settings was introduced with Windows 8.1 and continue to be an appreciated by the users. You can sync your apps and settings on all your Windows devices so that you don’t have to go through the process all over again when you re-install your operating system. Here’s how you can sync all your settings across Windows devices. Your Windows 10 operating system will take care of all the settings as soon you turn on the Sync feature. It set the same apps and settings on all your Windows devices. All you have to do is to select which apps or settings you want to sync like color themes, passwords etc. 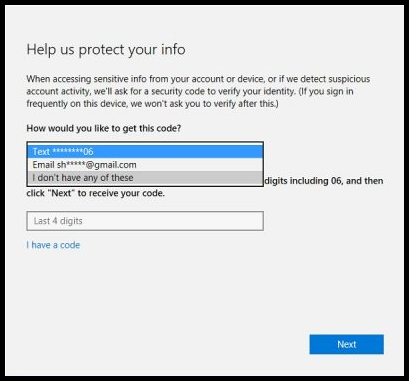 To set the settings, first, you have to sign-in to Windows 10 with your Microsoft account on all your devices. Remember, it has to be the same login ID. You can decide to turn the feature on for all the apps and settings or select some based on your choices. You can even turn off the sync settings completely by turning off the ‘Sync settings’ button. ‘Individual Sync Settings’ shows you different sync settings choices. By turning on the ‘Theme’ option, your computer’s background color, theme, will be synchronized on all your Windows devices. ‘Internet Explorer’ settings will sync your login details, browsing history, bookmarks, etc. Microsoft Edge is the default browser now in Windows 10, and these settings will indicate the same. Next, on the list is ‘Passwords’. To sync the passwords on all your devices, verification of identity is needed. You’ll receive a verification code through your registered email address or your phone number. The rest of the list are basically to sync your desktop settings. And these are ‘Language Preferences’, ‘Ease of Access’ and ‘Other Windows Settings’. Once the Sync settings are turned on, your sync preference will apply across Windows devices upon signing into the same Microsoft user ID. 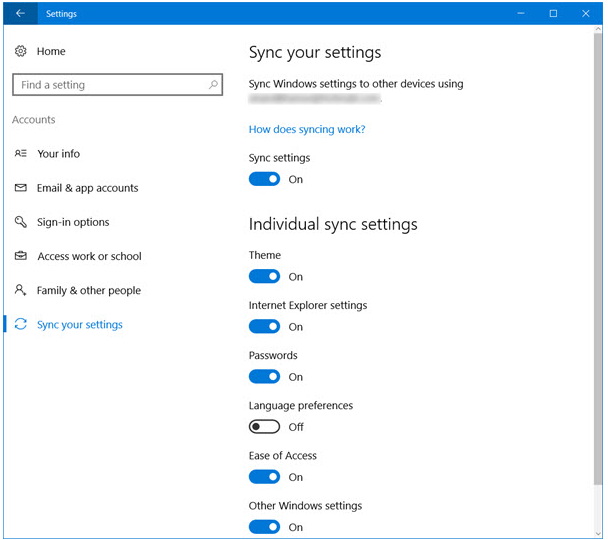 You can Sync your settings only when you sign-in from your Microsoft account, otherwise, all the sync options will be grayed out. If you can’t turn on the sync settings with a Microsoft account, try using another. Syncing all your Windows devices settings will help in organizing your desktop or devices apps well. it really makes one happy when all your devices setting and apps, change just by working on one Windows device. In meanwhile, if you have encountered any loss of desktop files for any reasons, and you don’t seem to find them anywhere on your computer, I would recommend you using a desktop file recovery software which does an incredible job of retrieving all files – word doc, excel, PPT etc. How to Sync Outlook with Nexus? How to Fix Sync Error on Android?